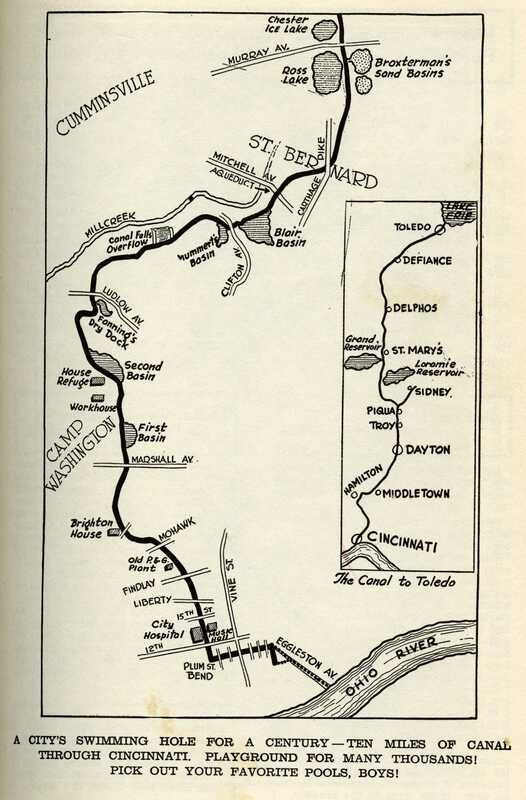 Taken from Playmates of the Towpath (1929), this map depicts the area of the Miami and Erie Canal, now Central Parkway, that ran through Cincinnati until 1920. 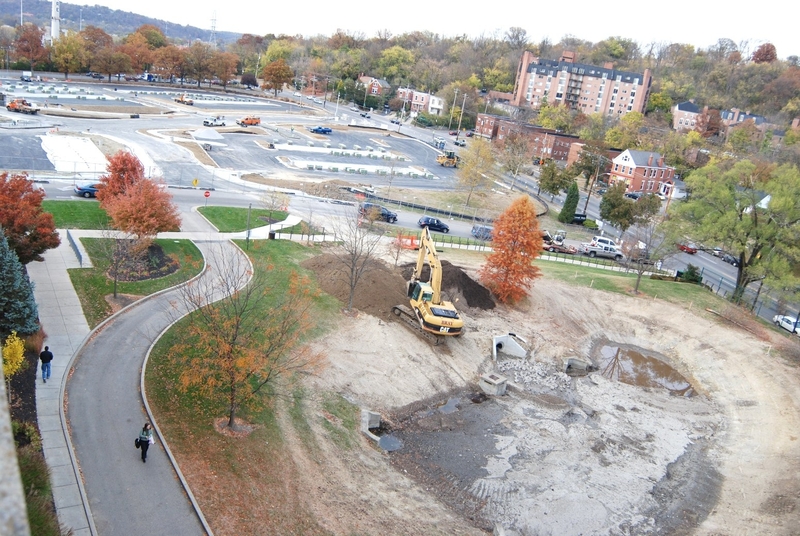 The dry dock indicated near Ludlow Avenue is where parking Lot A now sits. 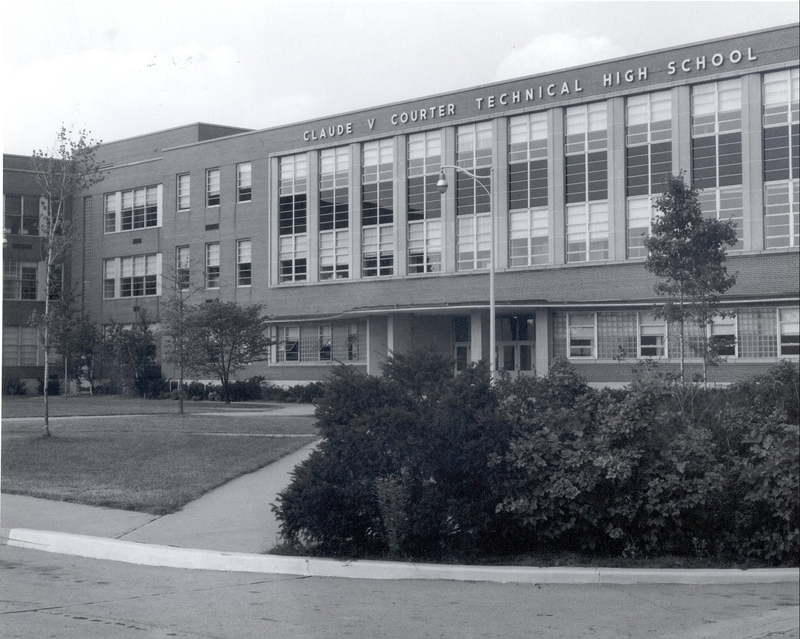 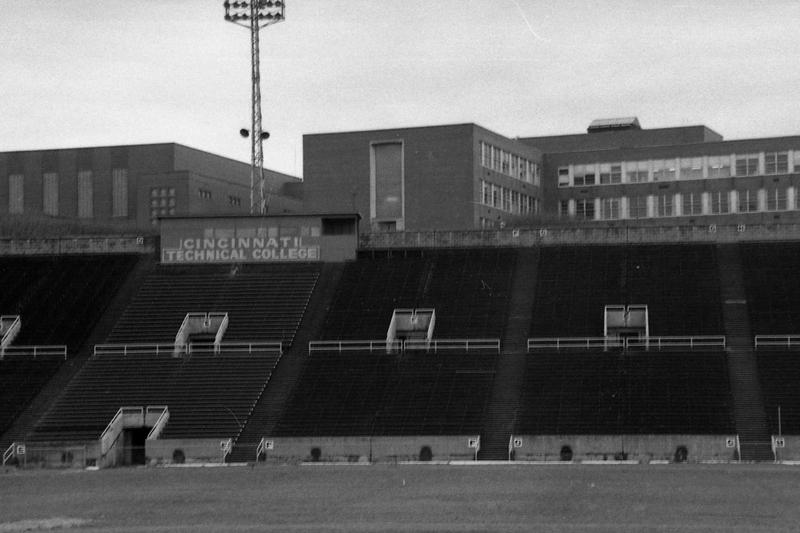 The Main building was originally built in the early 1950s to serve as Central High School and later Courter Technical High School, both part of the Cincinnati Public Schools. 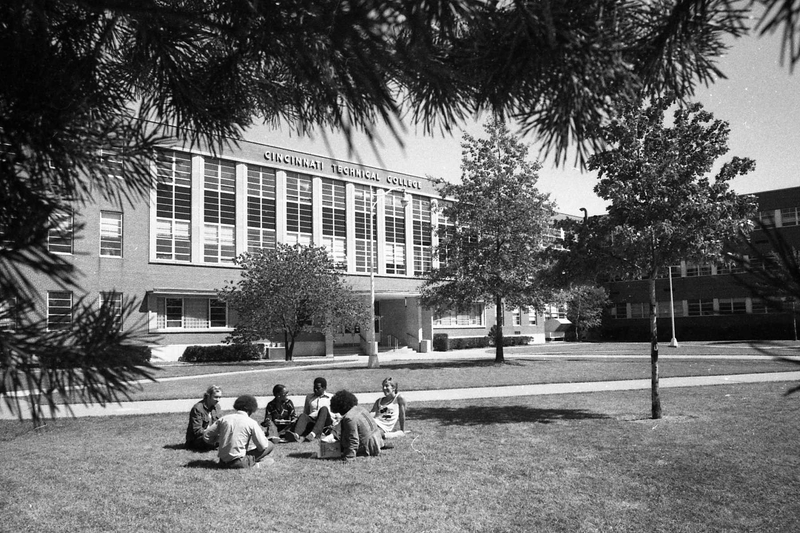 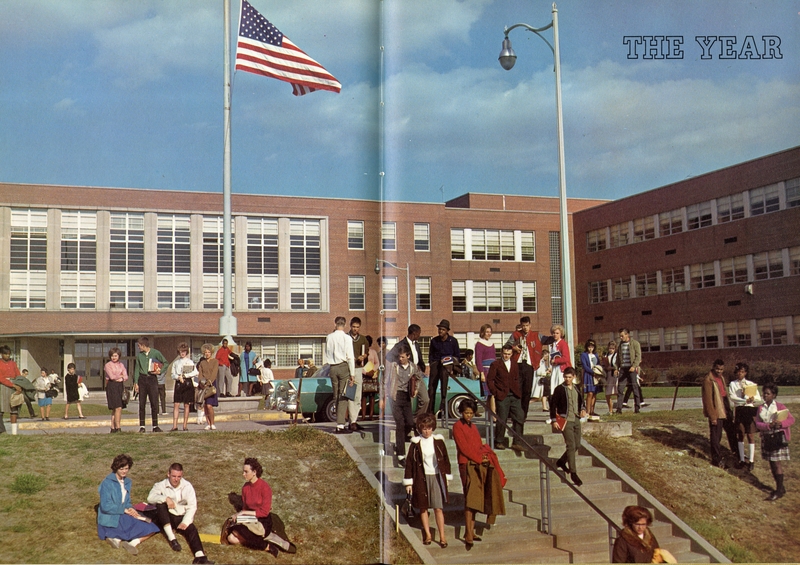 This picture from the 1965 yearbook shows the front of the building. 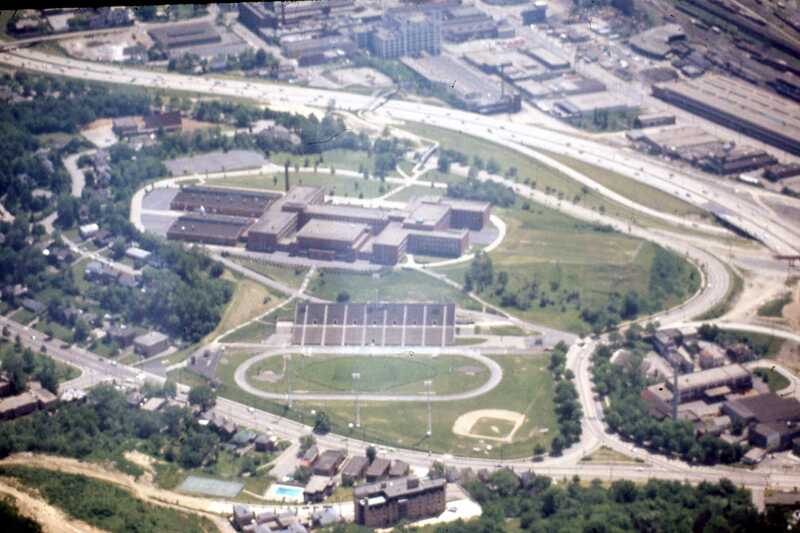 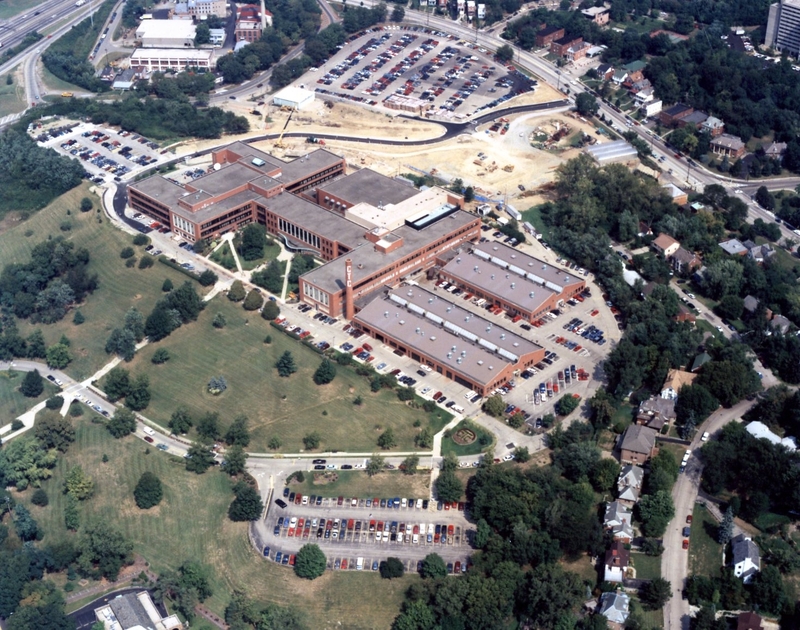 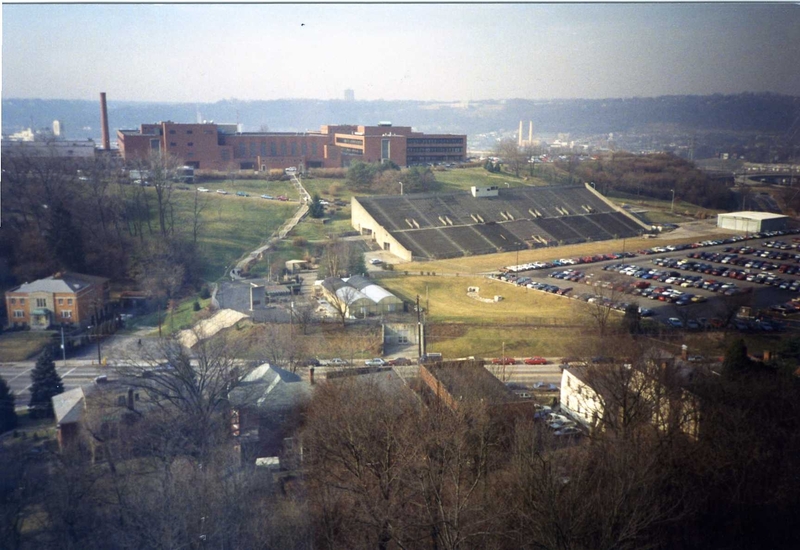 This is an aerial view of Cincinnati State, then Cincinnati Technical Institute, in 1971. 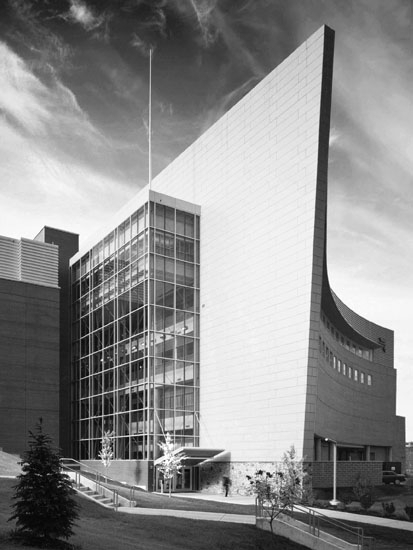 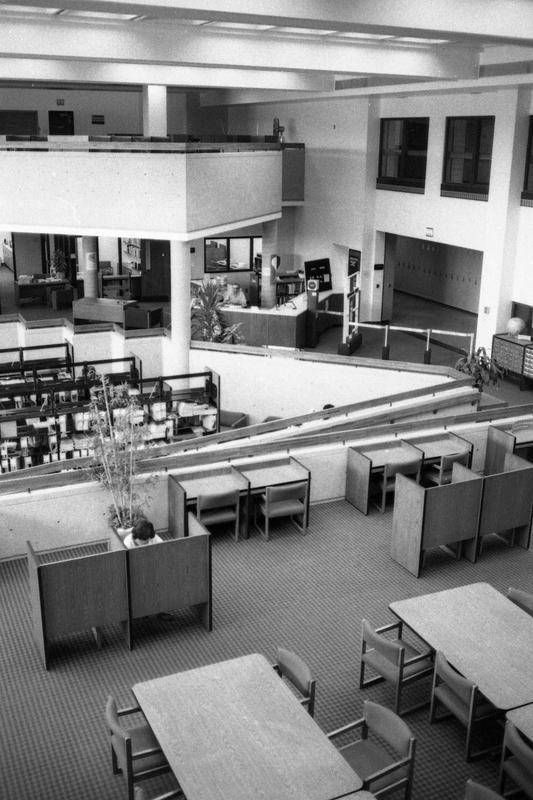 Completed LRC, c.1978. 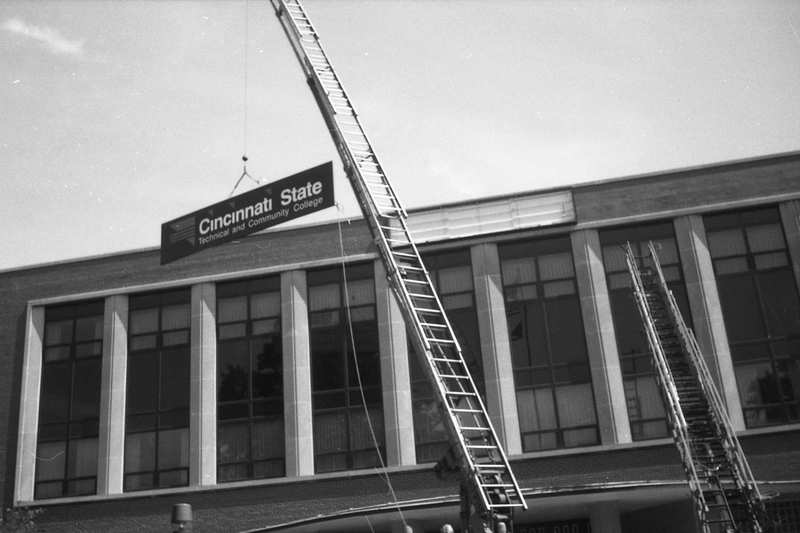 Check out our exhibit on library history for more information. 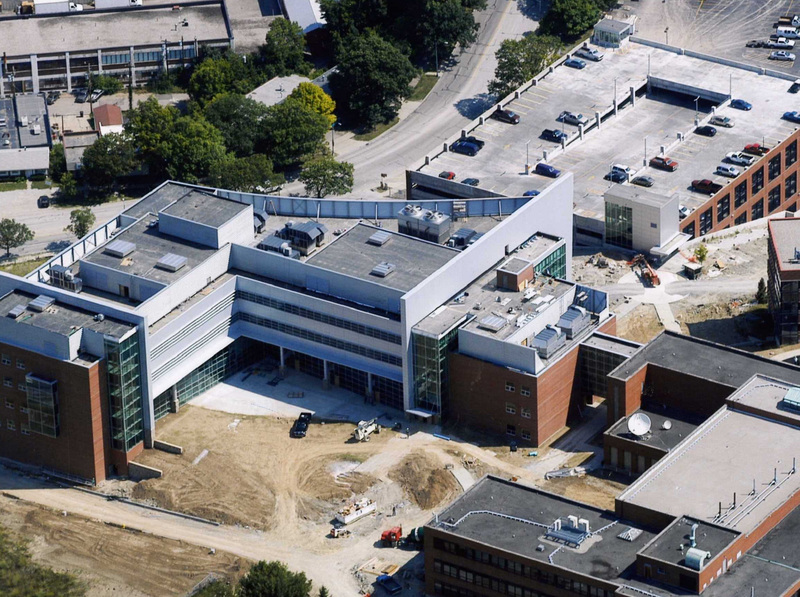 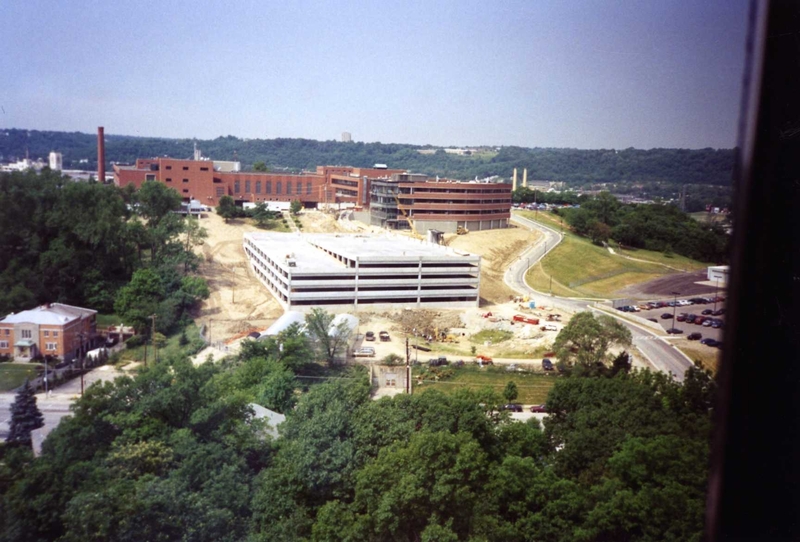 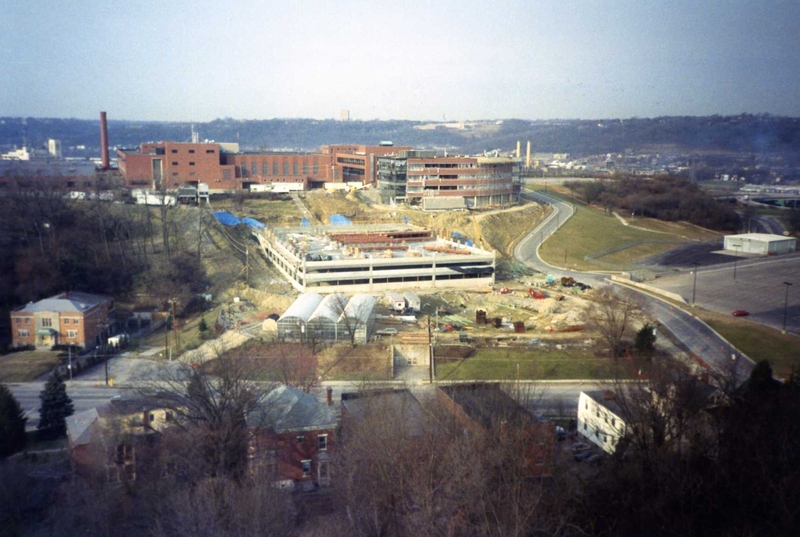 The first major change to the campus came with the addition of the Health Professions Building and Ludlow parking garage. 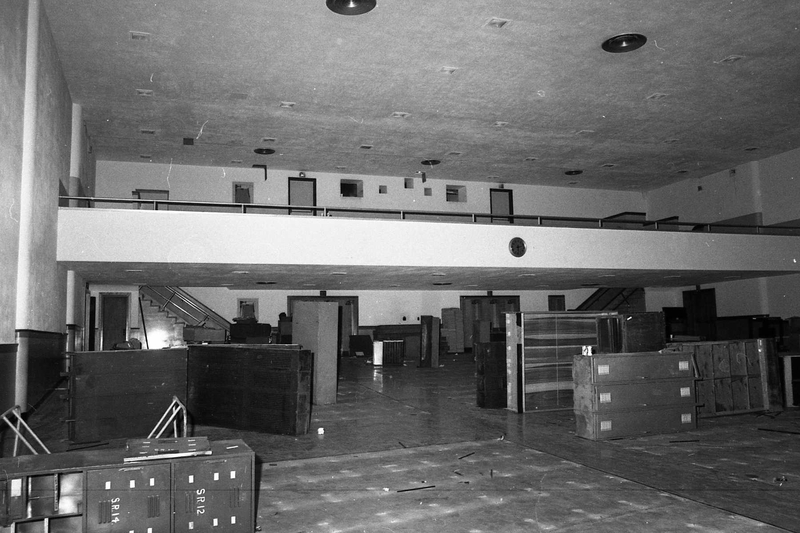 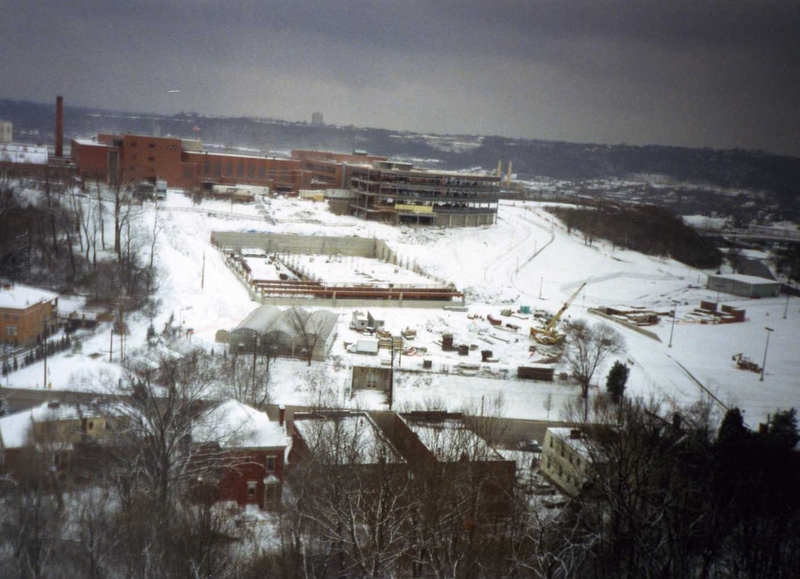 This series of 7 photos chronicles the construction process from Spring 1993-Fall 1994. 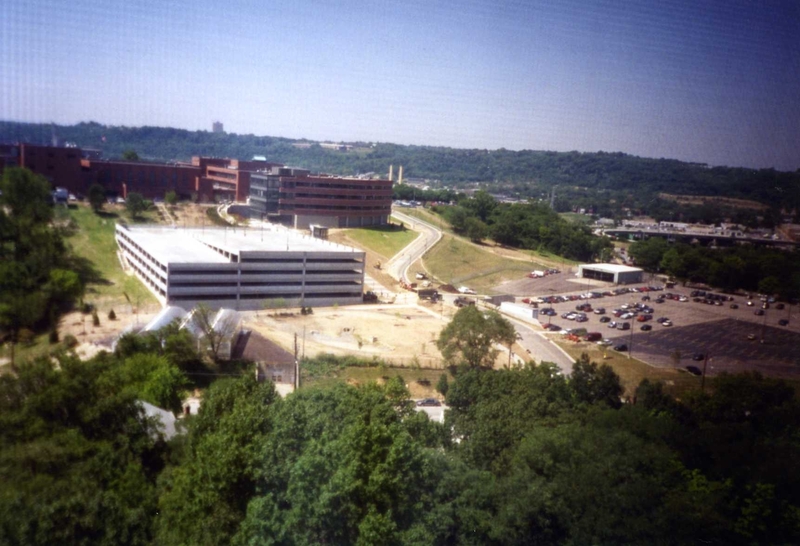 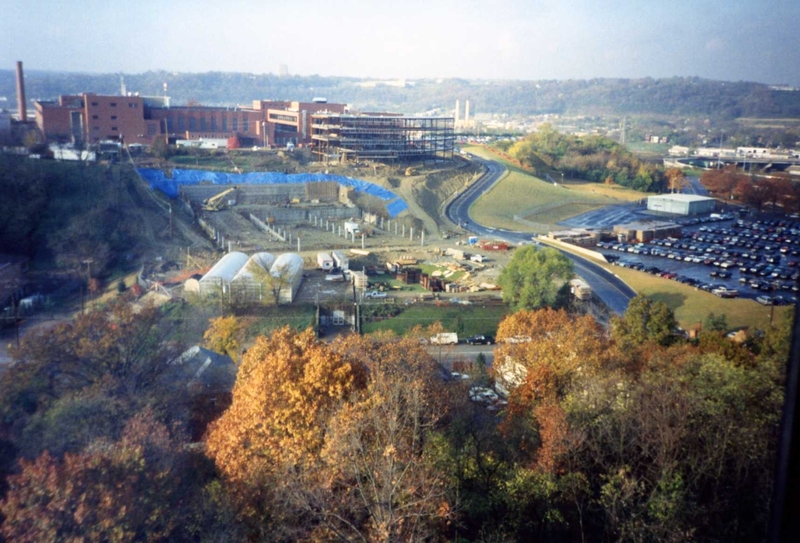 This picture shows construction in Spring 1993. 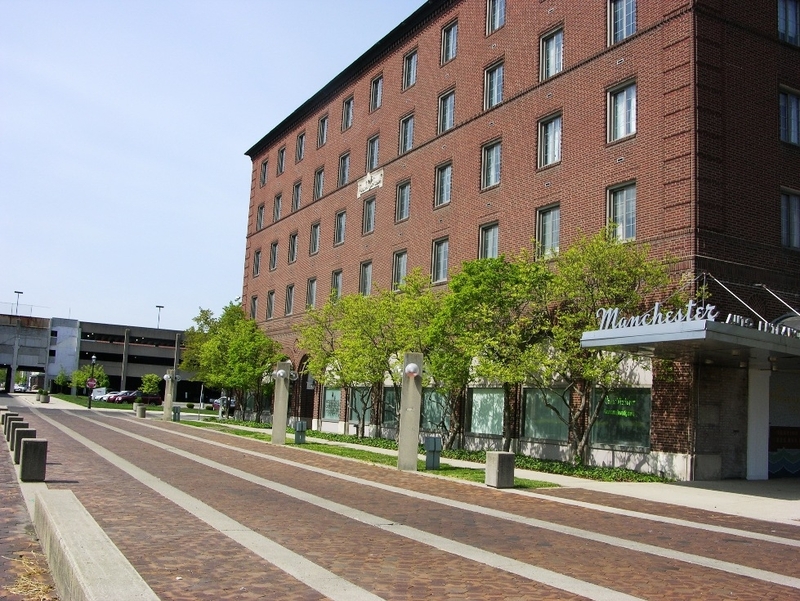 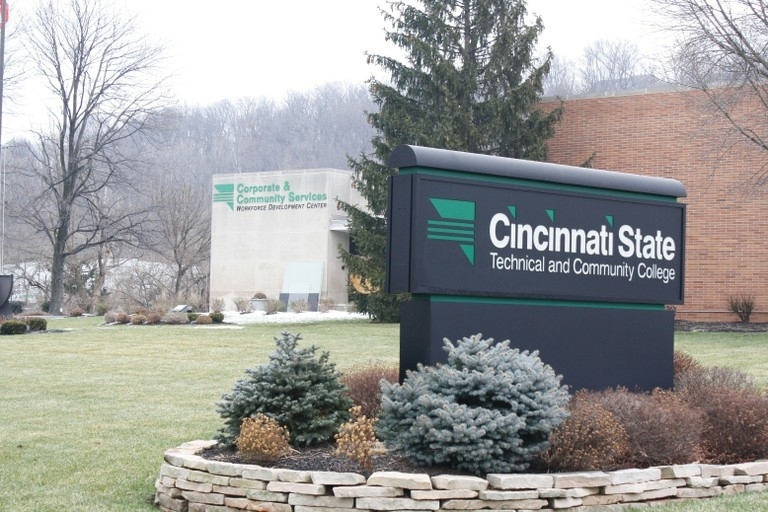 In addition to the main campus off Central Parkway, Cincinnati State also operates branch campuses at Harrison and Evendale. 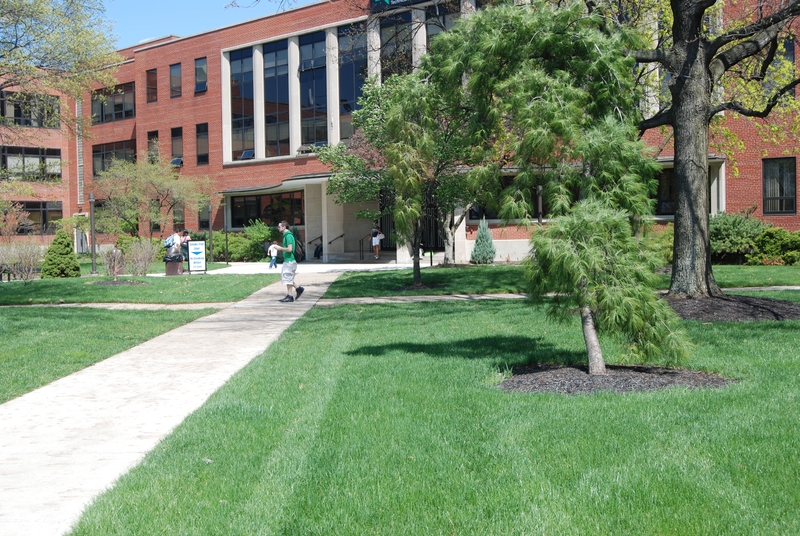 The Harrison location is referred to as West campus and houses the college’s aviation program. 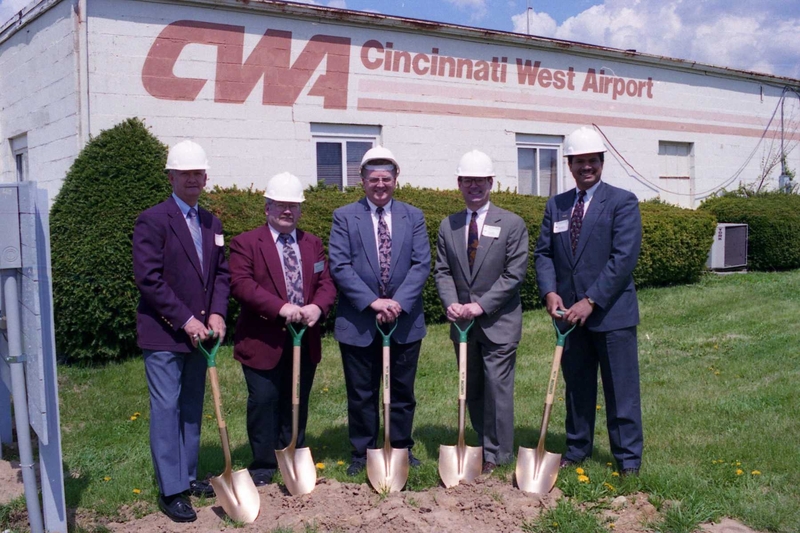 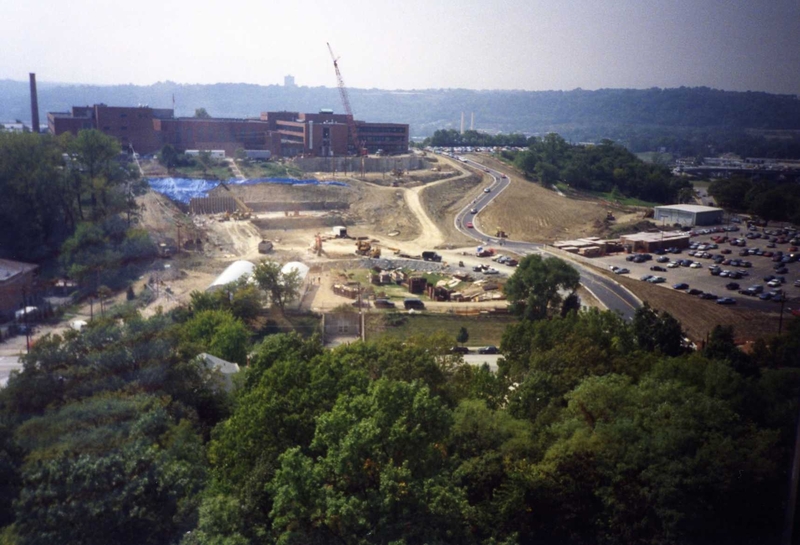 This picture shows the West campus groundbreaking on April 25, 1997. 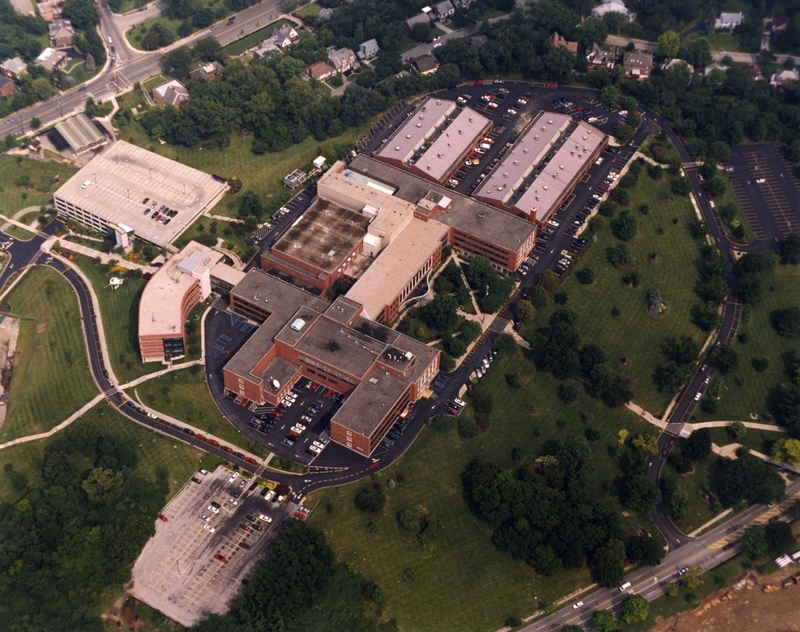 In 2000, the college purchased the Workforce Development Center in Evendale – the former General Motors Training Facility –as a site for corporate training programs including computer-training, hazardous materials and industrial maintenance training.